ISO 22000 FSSC 22000 standard helps in avoding physical, chemical and biological hazards being retained in finish goods. ISO 22000 standard requirements are helpful in implementation of an effective food safety management system where controls are being established at raw materials, manufacturing processes, storage processing, packing processes, logistics processes etc. to avoid food hazards. Organizations looking for ISO 22000 FSSC 22000 certification consultants , ISO 22000 FSSC 22000 registration consultants in india, ISO 22000 FSSC 22000 certificate provider consultant agency in India, ISO 22000 FSSC 22000 internal auditor lead auditor training provider agency in india, Food safety training provider consultants in India ISO 22000 FSSC 22000 consultancy agency in India , ISO 22000 FSSC 22000 registration service providers in India can contact us. We are one amongst oldest ISO 22000 FSSC 22000 food safety certification consultancy service providers located at ahmedabad, in Gujarat, India. 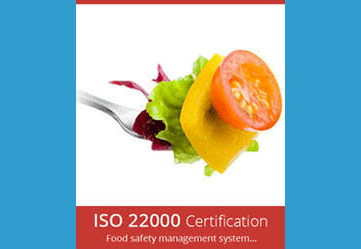 We can provide ISO 22000 FSSC 22000 certification services in all areas of Gujarat and in India. We can help in achieving ISO 22000 certification FSSC 22000 from various reputed certification agencies like TUV, BVQI ( bureau veritas certifications) , Intertek, URS, IRQS and other NABCB, UKAS, ANAB, JAS ANZ, DAC, ASCB etc. accredited certification agencies-bodies. Ocean management services is a leading ISO 22000 food safety management system certification registration consultancy training provider agency located at Ahmedabad in Gujarat India. We offer ISO 22000 certification consultancy services to various products manufacturing industries associated with food chain. 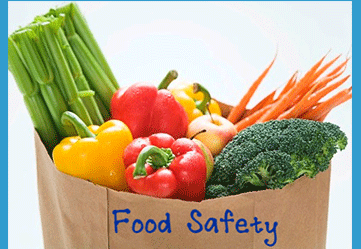 ISO 22000 food safety certification registration made for control for food hazards. ISO 22000 food safety certification is applicable to all manufacturing and service sectors associated with food chain. Organizations looking for ISO 22000 certification registration consultants consultancy training providers agency located at Gujarat ( in Gujarat at Ahmedabad, Vadodara-baroda, Surat, Ankleshwar, Bharuch, Nadiad, Vidhyanagar, Anand, Sanand, Jamnagar, Bhavnagar, Himmatnagar, Surendranagar, Prantij, Rajkot, Mahuva, Mahua, kadi, junagadh, rajkot, surendranagar, kalol, chhatral, siddhpur, palanpur, godhara, halol,dahod, gandhidham, mundra, kutch, kapadvanjK, and in other cities of Gujarat ) & in other states of India can contact us. We can also help organizations in ISO 22000 internal auditor trainings. selection of ISO 22000 FSSC 22000 food safety certification consultants. review of AS IS condition against requirement of ISO 22000 FSSC 22000 standard. Desinging templates to be maintained in routine to satisfy ISO 22000 FSSC 22000 standard requirements. Giving training to concern employees about ISO 22000 FSSC 22000 system and requirements. Conducting food safety hazard analysis and identifying critical control points and defining critical control limits. Implementation of necessary operational control procedures to controlling identified food safety hazards. Compliance of points identified during Gape analysis - AS IS condition review & legal compliance. Application to ISO 22000 FSSC 22000 certification agency. Completion of necessary documentation as per ISO 22000 FSSC 22000 requirements. Completion of necessary infrastructural changes as per ISO 22000 FSSC 22000 requiremnets and as an output of Gape analysis. Stage 1 certification audit by ISO 22000 FSSC 22000 certification agency. Closure of findings raised by certification agency during stage 1 audit. 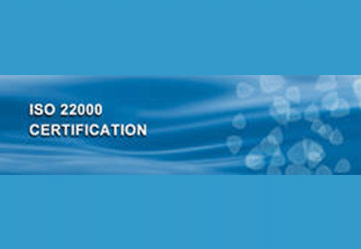 Stage 2 certification audit by ISO 22000 FSSC 22000 certification agency. We can help organizations in achieving ISO 22000 food safety management system certification with complete guidance to Gape analysis, template designing, training, documentation, and coordination with ISO 22000 certification agency. Organizations in Gujarat and in other states of India which are interestd in achieving ISO 22000 FSSC 22000 certification can contact us. Organizations looking for ISO 22000 FSSC 22000 food safety certification providers in Gujarat India, ISO 22000 FSSC 22000 Food safety certification consultants in Gujarat india, ISO 22000 FSSC 22000 Food safety registration agency in Gujarat india, ISO 22000 Food safety certification consulting agencies in Gujarat india can contact us. We can help organizations located at Gujarat ( in Ahmedabad, Vadodara, Surat, Ankleshwar, Bharuch, Vapi, Valsad, Anand, Vidhyanagar, Surendranagar, Bhavnagar, Jamnagar, Himmatnagar, Prantij, Godhra, Dahod, Kalol, Mehsana, Rajkot, Junagadh, Morbi and in other cities of Gujarat) Punjab, Hariyana, Uttar pradesh, Madhya pradesh, Bihar, Rajasthan, Maharashtra, Delhi and in states of India in achieving ISO 22000 FSSC 22000 food safety certification, ISO 22000 FSSC 22000 food safety registration. Selection of competent consultant for ISO 22000 FSSC 22000 certification. Gape analysis against requirement of ISO 22000 FSSC 22000 certification. Training by consultant for ISO 22000 FSSC 22000 Certification. Identification of critical control points. Monitoring of critical control points. Plant housekeeping and maintaining hygenic conditions to avoid identified food hazards. Raw material control, inprocess control, final product control. Closure of stage 2 certification audit findings. 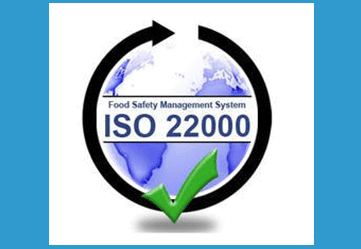 ISO 22000 FSSC 22000 requirements training. ISO 22000 FSSC 22000 internal auditor training. Coordination with ISO 22000 FSSC 22000 certification agency / ISO 22000 certification body. We can help organizations in achieving ISO 22000 FSSC 22000 certification from various ISO 22000 certification agencies like SGS, Intertek, TUV, BVQI etc. Ocean Management Services is a leading ISO 22000 FSSC 22000 food safety management system certification consultant located at Ahmedabad in Gujarat India. ISO 22000 FSSC 22000 food safety management system certification standard contains various management related requirements which includes technical requirements, managerial requirements, infrastructural requirements and compliance to legal requirements pertaining to food product / associated product being handled. Requirements of ISO 22000 FSSC 22000 certification is demonstrated uder this product group. Organizations interested in achieving ISO 22000 FSSC 22000 certification in India can contact us. We will be pleased to provide our ISO 22000 FSSC 22000 consultancy services to them.